West Cork is almost a separate region in its own right. It begins at Kinsale, the gourmet capital of Ireland, and runs in a westerly direction to Dursey Island at the tip of the Beara Peninsula. 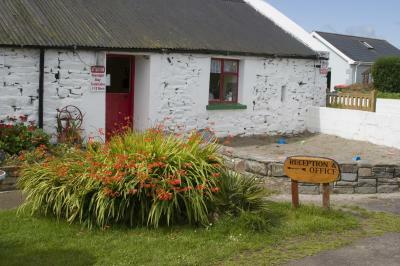 We are located on the R600 the main route for the Wild Atlantic Way, the longest coastal route in the world. Both landscape and coastline become more complex and rugged as you proceed westwards.... It is festooned with little ports, bays, inlets and harbours and boats of every type and design are there, fishing, sailing and cruising. Sextons camping site is situated on 4 acres of rolling countryside. The majority of pitches are grass with some hard standing pitches, all are individually marked . Copyright © 2010 Sextons Caravan Park. All Rights Reserved.